Have you suffered from the infamous cauliflower ear yet? If you’ve been training for a while then it has no doubt reared its ugly head. Many people see cauliflower ears as a right of passage. A badge of honor. A sign that they have put in hours upon hours on the mat and that they’ve paid their dues. If you look around a room and see the guy with cauliflower ears, then you’ve found the guy that you probably don’t want to mess with. But, there is a huge problem with said cauliflower ear. There’s no denying it. It does not look good. You don’t get to choose how it manifests itself or just how bad it’s gonna be. It could be just a small amount of swelling, or you could be left with an enormous lump on your ear that weighs it down and looks like a tumor. Cauliflower ear is caused by blunt trauma to the ear or when the skin of the ear is pulled away from the cartilage by friction. This space then fills with fluid which needs to be drained multiple times as soon as possible. If you don’t then you could be stuck with it for good and corrective surgery would be your only option. Do you like the idea of jabbing needles into your ear? Do you relish the thought of having to sit out of practice because your ear is all bandaged up? No? Well good news. You do not have to suffer this. What you need is wrestling headgear. Luckily for you, we’ve listed we’ve listed the top 5 wrestling headgear that you can use to stop cauliflower ear from ever afflicting you. One of the main gripes with using headgear is that it can impair your hearing. You might not be able to hear trainers instructions during a match or you’ll have to keep taking it off in class during the technique portion of the class. But not with the Cliff Keen F5 Tornado. Cliff Keen promise you 80% greater audible sound technology so you can keep them on for the entire class without worrying about missing steps or mishearing details in class. No having to undo them for five minutes just to put them back on again right afterwards. They also feature the patented Air Vent System technology so your face won’t be hoarding sweat and heat during sparring. You’ll be able to grapple to your hearts content without having to stop to readjust the headgear or clean away the sweat. This foam headset features molded shells to protect you from rubbing and to disperse impact. It has a tight yet comfortable fit with a 3-way closure system so that you don’t have to fret about it falling off or coming loose. The last thing you need when fighting your way out of a submission is worrying about your headgear coming loose. The Venum Kontact Evo also features a smaller profile than most headgears which makes it perfect for gi BJJ as there is less headgear to get stuck in awkward positions. An issue with headgear is that it can make it tougher to worm free from chokes like triangles, etc. This is less of a problem with this smaller Venum headgear. Another smaller profile headgear here. It features a soft construction and an easy-to-use velcro adjustment so that it can fit and protect almost any size head. The chin strap that comes with it is removable so you can choose to take it off if you don’t want or need it, but it’s still an option for those people who want maximum protection. An unfortunate truth with headgear is that they can stink. Just like gloves and shin-pads, they normally pool sweat and it can be hard to deal with. The GrappleArts Minimum Profile Ear Guard is made with microbial resistant nylon which helps to keep the material fresh. The ear guards themselves have ear holes for ventilation so you can skin and the head-guard can breath and expel odor. Matman have designed a simple and excellent one size fits all headgear here. No more fussing with complicated strap systems and clasps. Just chuck it on, pull it taut and you’re ready to roll. It’s also probably the best headgear on our list for freshness and heat. You’ll find that you’ll stay a lot cooler with this headgear than some of the more heavy duty sets we’ve listed. The soft material is also gentle on your opponents; no rough materials or parts that stick out and discomfort your partners. Wrestling headgear isn’t normally known for their style and aesthetics but Matman offer this headgear in 8 different colours. You’re bound to find something that suits you. Cliff Keen are pretty much the brand to go for when choosing wrestling headgear. If you’re looking for a heavy duty set that you can use in competition on your way to victory, then the Cliff Keen E58 Headgear set is for you. They have a four-strap system so the ear cups are bound in place completely. Your ears will not feel a knock or a rub at all during training or even in a high stakes match. It stays in place perfectly once set, but without the strap burns that are common with heavy duty headgear. All of these features and yet they still remain fairly low profile. You’re unlikely to earn the ire of your training partners whilst wearing them and they won’t obstruct your own grappling ability either. If the safety and appearance of your ears is of paramount importance to you, then the E58’s are your best choice. 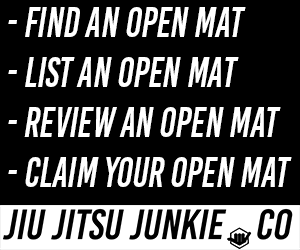 You need never to suffer the consequences of a hard roll with cauliflower ears again. This is one of those times when you can have your cake and eat it; train and grapple as hard as you like, but without your ears swelling up like oranges afterwards.